Playing in and around water is often a big part of many family vacations. While swimming is a really fun activity it can also be very dangerous. Did you know drowning is a leading cause of accidental deaths in the United States?! 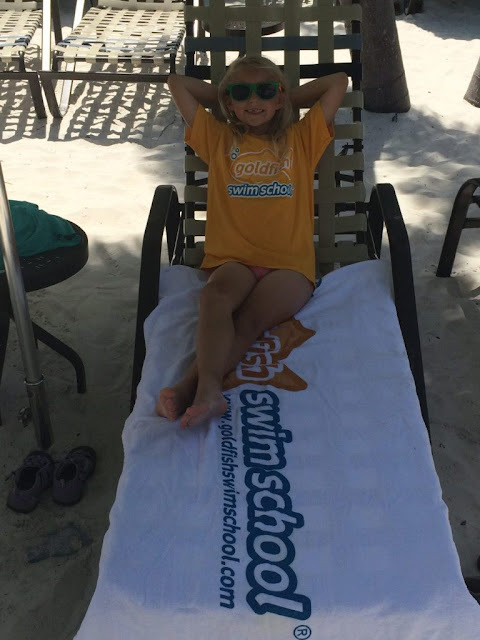 To get some tips to help ensure you return home from vacation with memorable moments rather than a tragedy, I chatted with Chris McCuiston, co-founder of Goldfish Swim Schools where my own kids are enrolled in swimming lessons, about water safety tips for family trips. 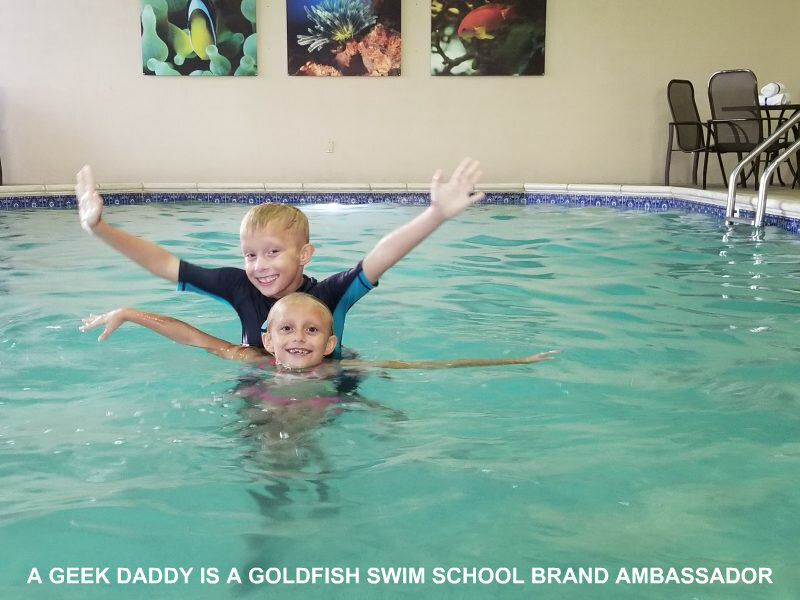 McCuiston is passionate about water safety not just because he is in the business of providing swimming lessons to children, but also because he himself is the father of four young boys. 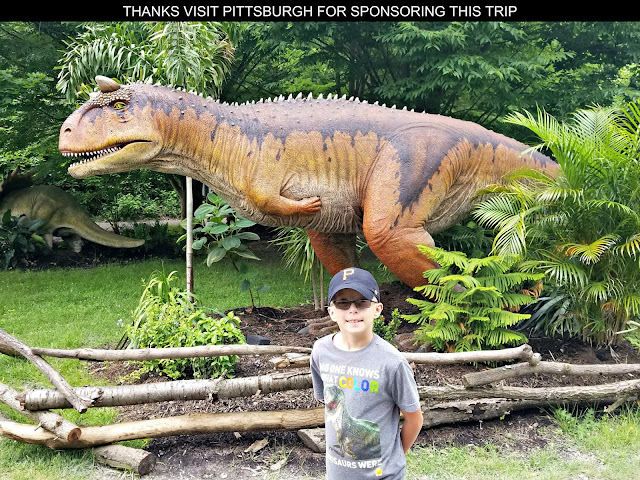 He believes it is important before you even leave on a family trip for parents to review for themselves safety tips and have a conversation with their little swimmers about dos and don’ts before going into the water at a hotel pool or ocean beach. Once at a location, look for posted rules and warnings to help avoid getting into troublesome situations. We all know a pool can be a huge difference maker when it comes to choosing a hotel you’ll be staying at. Swimming in a hotel pool could even be the highlight of a trip for some kids. 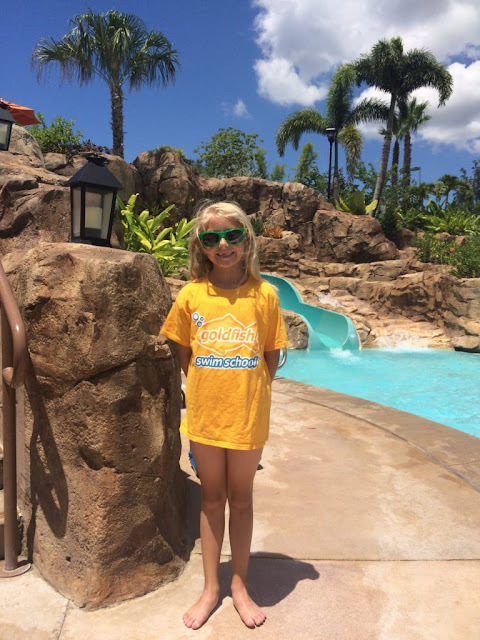 It is important for parents to keep in mind that a hotel pool can be a bit different than swimming at local community pool when there are tons of other kids and families in the pool — and lifeguards on duty. No worries, though…staying safe at an indoor pool just means following a few tips. Since hotel pools generally don’t have lifeguards, it’s important kids always swim with a buddy and have an adult present. If your little one needs a lifejacket, be sure to ask the hotel concierge before you travel to see if the hotel has any for guests to use. If not be sure to bring your own. Oceans will have a rip current from time to time. Talk to a certified lifeguard at the beach to understand how to swim out of a rip current. 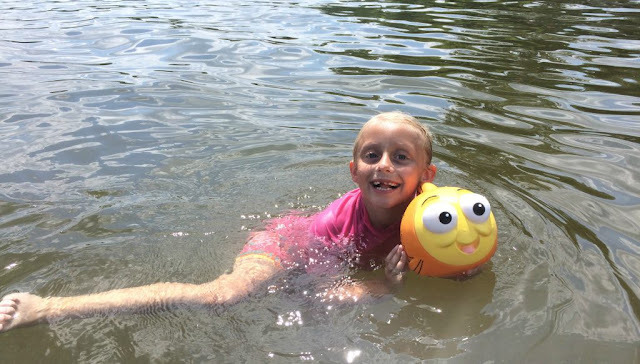 And remember that drowning doesn’t always look as dramatic as it does in the movies, so learn the signs of drowning and what to do to stay safe. Before blindly jumping off a dock or boat into a lake, take some time to scope out your surroundings. A lot of people break their necks, and other body parts, by diving into shallow water or hitting an object hidden under the water. Never take a running leap into the water before checking for depth & debris. Lakes, ponds and rivers will often times have rocks and plants on the bottom. Make sure you keep your feet and hands away from them to avoid slipping or getting stuck. Sticking to designated swimming areas is always a smart move when it comes to having fun in natural bodies of water. 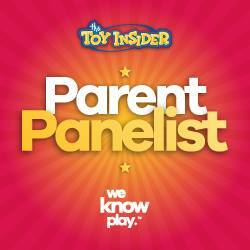 If your family trip involves a waterpark, yay! Sounds like a great time! For parents, it’s important to keep a constant eye on the kids at a waterpark. Make sure you designate a meeting place if you get separated, and go over the park rules before letting the kids loose to play. Little kids and kids who are not strong swimmers should wear lifejackets if they are allowed. If your getaway involves a boat or a cruise ship, it’s a good idea to talk to your children about boating safety as well before going aboard. On a cruise ship make sure everyone pays attention to the safety instructions during the vessel’s orientation. While it is easy to not pay attention wanting to get the fun of your cruise underway this information is very important to know in case of an emergency. So don’t skip out and make sure the kids pay attention too! On a smaller boat, make sure children have proper lifejackets and make sure they understand keeping hands and feet inside the boat at all times, as well as no standing when the boat is underway, and no running on the boat ever. 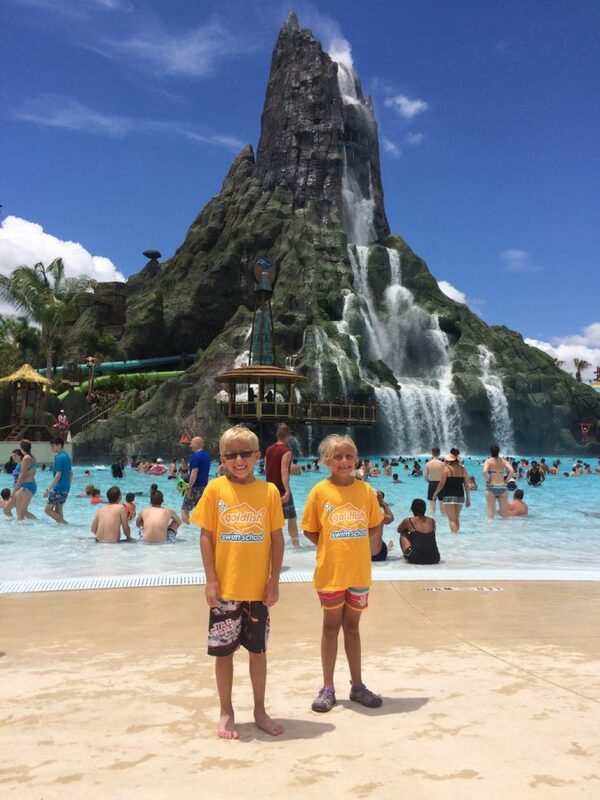 No matter if you are at an Atlantic Ocean beach or Universal’s Volcano Bay Waterpark, the best way to be safe in the water is having basic swimming skills. Our instructors at Goldfish Swim School use integrity, compassion and trust to teach families lifesaving swim skills — skills that can be used to stay safe while traveling on a trip. 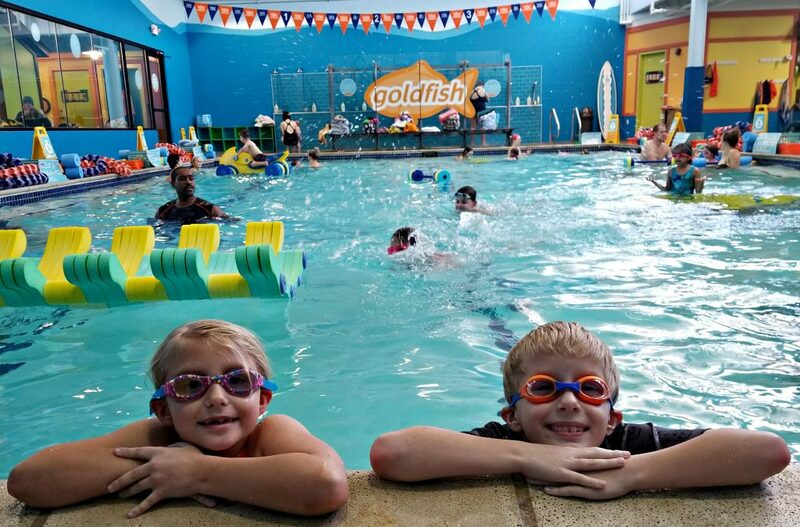 We promote year-round lessons at Goldfish Swim School allowing children to continue practicing new swim skills, work on getting stronger at the skills they’ve already learned, and reinforce how to stay safer in and around the water. A Geek Daddy is a Goldfish Swim School Brand Ambassador. I receive free products and services in exchange for sharing my family's experiences at the swim school. Opinions expresses are honest and my own.